The Apollo 15 mission was launched on July 26th, 1971 at 9:34am EST. The Falcon touched down at the foot of the moon’s Appenine Mountains on July 30th at 6:16pm. Endeavor orbited overhead while Worden scouted potential sites for future manned and unmanned missions to the moon. The Mission: Apollo 15 had the lengthiest lunar visit of any mission to this point. Scott and Irwin were also the first Astronauts to drive around on an electric Moon Buggy aka a Lunar Roving Vehicle. The LRV traveled at 7 mph on flat surfaces, 11 mph going downhill. The Moon Buggy was a visual hit with the global audience but more importantly it extended the range the Astronauts could cover. 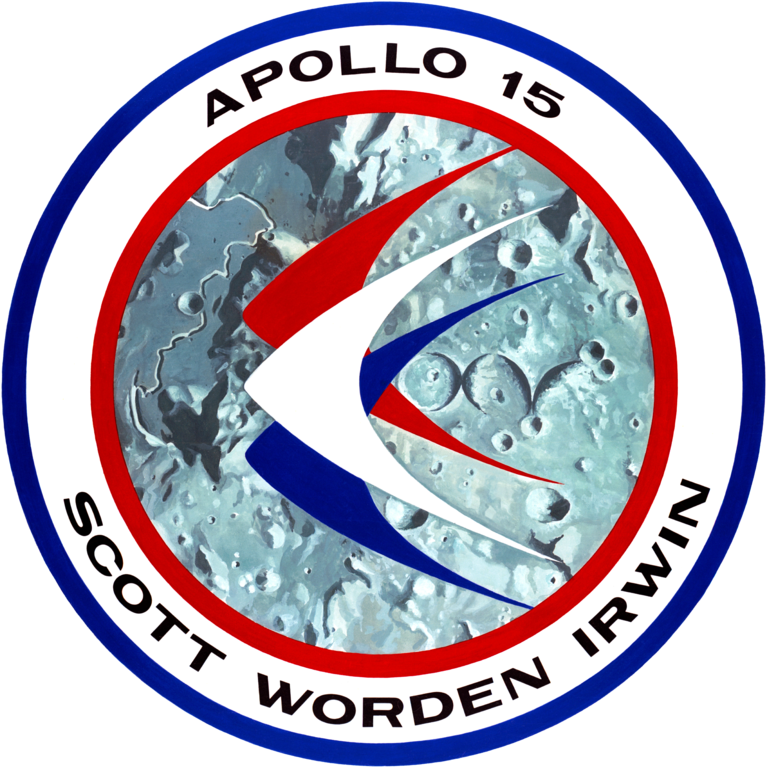 Scott and Irwin were limited to a 6 mile radius from the Falcon, a limit imposed to ensure that they would still have sufficient power and air in their space suits to walk back to the Lunar Module if the Moon Buggy broke down. Scott and Irwin deployed the usual scientific equipment and ran their own battery of tests over a much larger area than the previous missions could accomplish. In addition to excursions into the Appenine Mountains the Apollo 15 crew probed the Hadley Rille, a mile-wide gorge. Overhead Worden launched a satellite that would orbit the moon, another first for the Apollo project. The final actions of Scott and Irwin on the surface involved a ceremony commemorating the deaths of 3 Soviet Cosmonauts. The crew of Soyuz 11 died in a reentry accident in late June after orbitting the Earth for 24 days straight. Apollo 15 lifted off the moon on August 3rd at 1:11pm and splashed down in the Pacific Ocean on August 7th at 4:45pm. 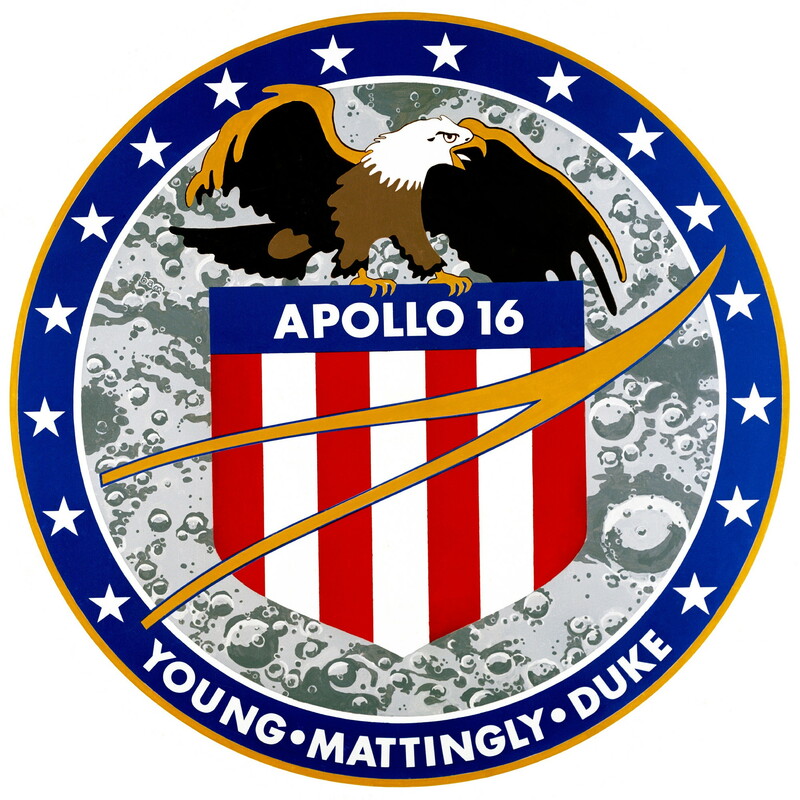 APOLLO 16 – Overall Commander: John W Young, a veteran of the Apollo 10 mission. Command Module Casper Pilot: Ken Mattingly, who got the chance with Apollo 16 that he missed out on when he was replaced on the Apollo 13 mission. 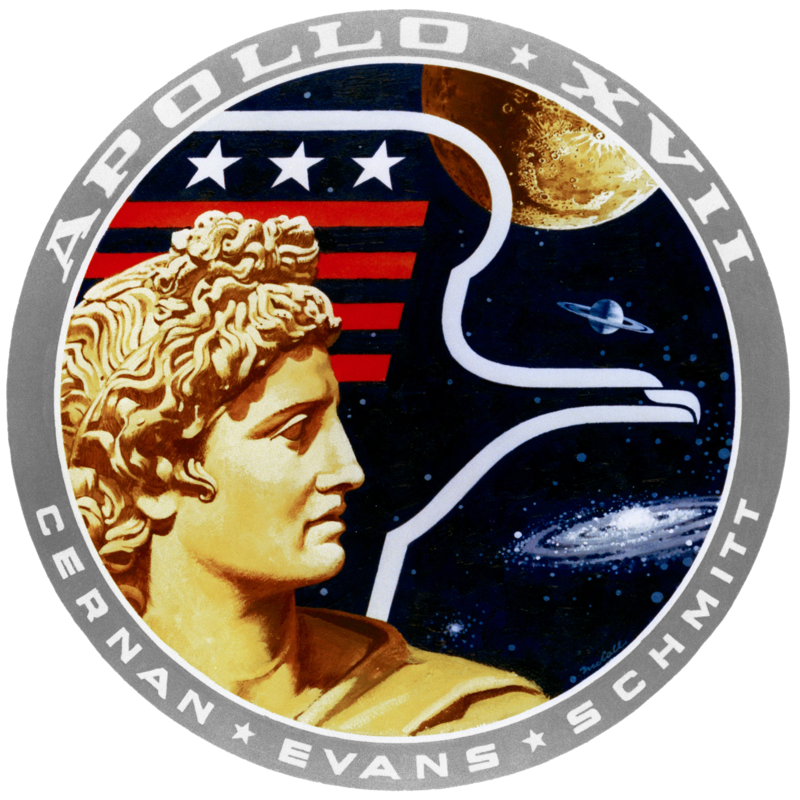 Apollo 16 took to the skies on April 16th, 1972 at 12:54pm EST. The Orion set down on the moon at 9:23pm on April 20th, landing near the DesCartes Mountains in the area called the Lunar Highlands. No significant difficulties arose. The Mission: Young and Duke were the second crew of astronauts to drive around the moon’s surface in a Lunar Roving Vehicle. Since the previous Moon Buggy had performed so well the Apollo 16 crew were permitted to drive as far away as 16 1/2 miles from their Lunar Module. More batteries of experiments were performed. The 213 pounds of rock and soil samples that the Astronauts collected enabled scientists to disprove many old and outdated notions about the moon and minimized the influence attributed to volcanic activity in the formation of features on the lunar surface. The Orion lifted off the moon on April 23rd at 8:25pm. Like Apollo 15 before it this crew deployed a satellite to orbit the moon and as a new wrinkle Ken Mattingly did a spacewalk on the journey back to Earth. The objective of the spacewalk was to retrieve flm from additional cameras that had been planted around the exterior of the Casper. Splashdown in the Pacific Ocean came at 2:45pm on April 27th. This final manned expedition to the moon was launched on December 7th, 1972 at 12:33am. This was the only after-dark launch of the Apollo Program. On December 11th at 12:20pm the Challenger set down in the Littrow Valley of the Taurus Mountain region of the moon. The Mission: Apollo 17 broke several records set by previous Apollo missions. Those records included the longest manned lunar landing flight, the most and longest extra-vehicular activities on the moon and the largest haul of lunar materials – 243 pounds. Cernan and Schmitt deployed scientific instruments and explored the terrain on the third and final Moon Buggy, taking in enormous boulders, deep rifts and steep hills. Liftoff from the moon took place on December 14th at 5:54pm and with the splashdown in the Pacific Ocean at 2:24pm on December 19th the Apollo Program came to an end. No other manned ventures have taken place to the moon or to other planets. Leftover equipment from what would have been the Apollo 18, 19 and 20 projects was converted to be used in Skylab and the later joint orbital missions by the U.S. and Soviet Union. I understand and you’re right. I wish they had at least kept to the original plans for Apollo 18,19 and 20 to finish out the project. Unfortunately it wasn’t to be. It’s a shame these ended. You are my inspiration , I have few web logs and sometimes run out from to post .I conceive this website has got some really great information for everyone. “Loving someone is easy but losing someone is hard.” by Shelby Harthcock.